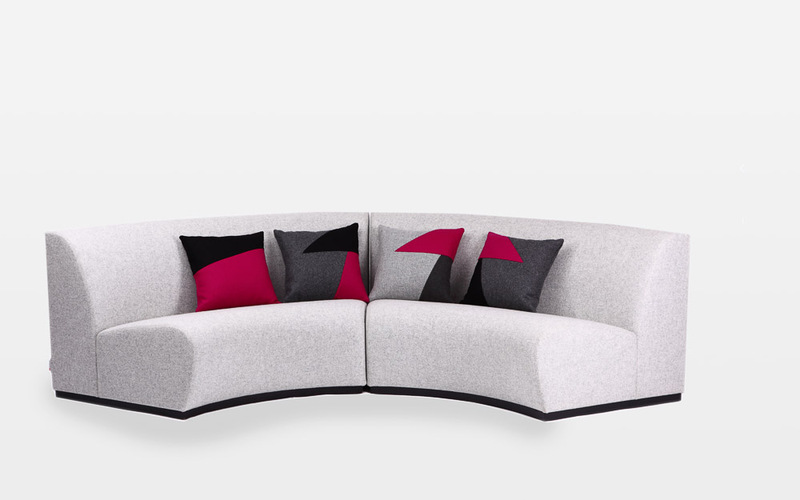 The inspiration for the KURVE modular sofa came from Antonio Gaudi’s Park Güell in Barcelona. This garden is renowned for the curved benches whose unique shape enables patrons to have private and intimate conversations. 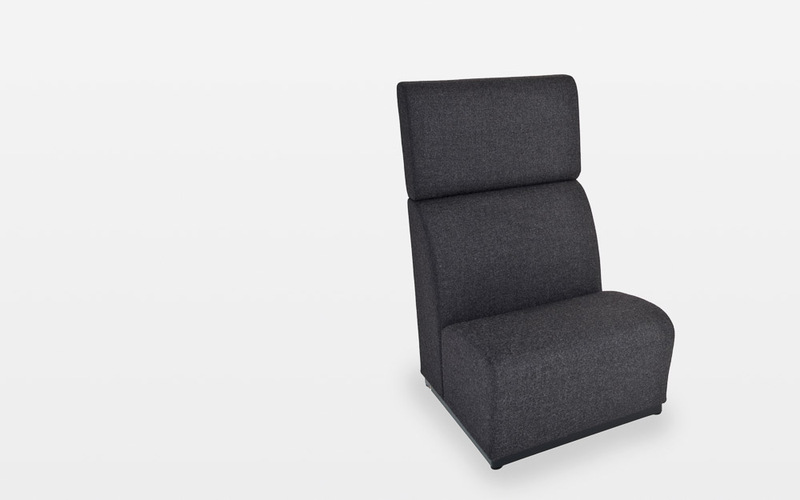 This unique concept offers the perfect solution for collaborative working areas in the office. 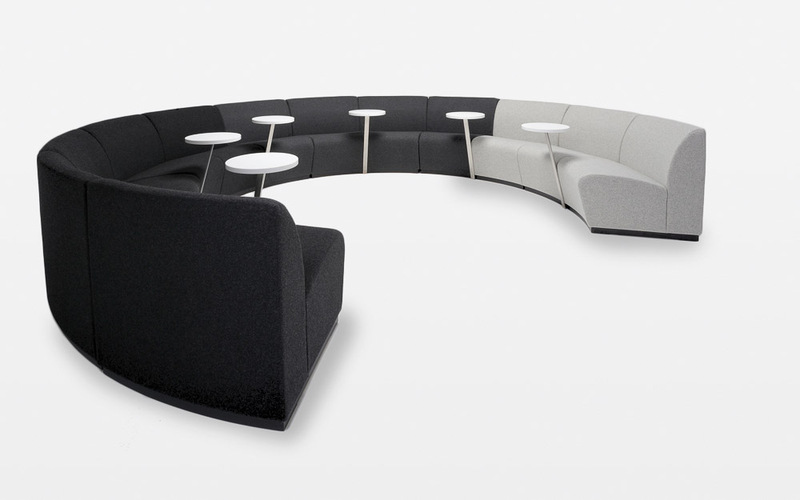 KURVE is available in four different modules – concave, convex, straight or double concave with optional tabletop and acoustic screens. 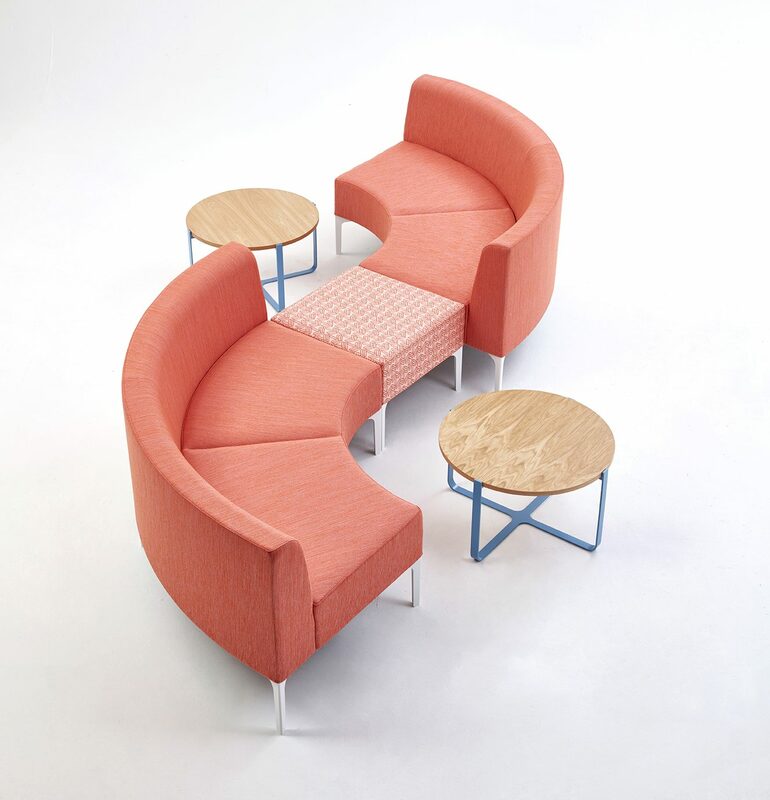 This ingenious system offers designers infinite configurations and shapes. Straight, concave, straight double, concave double, single high back straight and single high back concave. 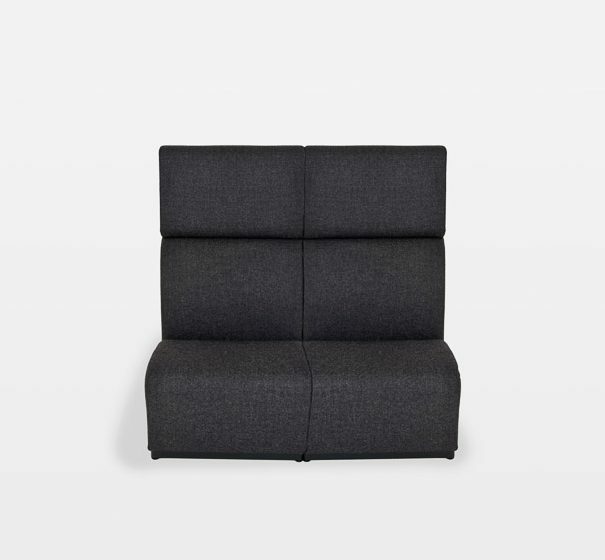 For individual dimensions please see brochure. Optional table top is available in a range of finishes. 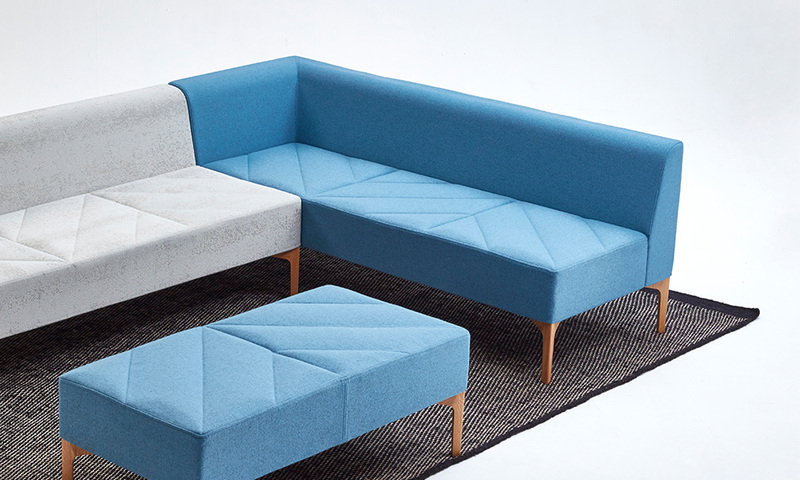 A multitude of configurations is available to be made with mixing or matched upholstery. 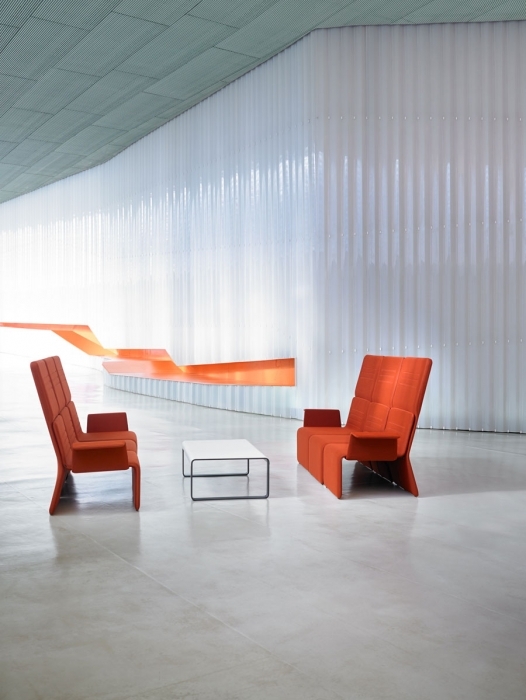 Kurve comes with or without 350mm diameter table, positioned on an angled solid linished stainless steel arm between seating modules. Power and data Table Boxes, fully upholstered with timber veneer and melamine tops, 45, 90 degrees and straight are available. 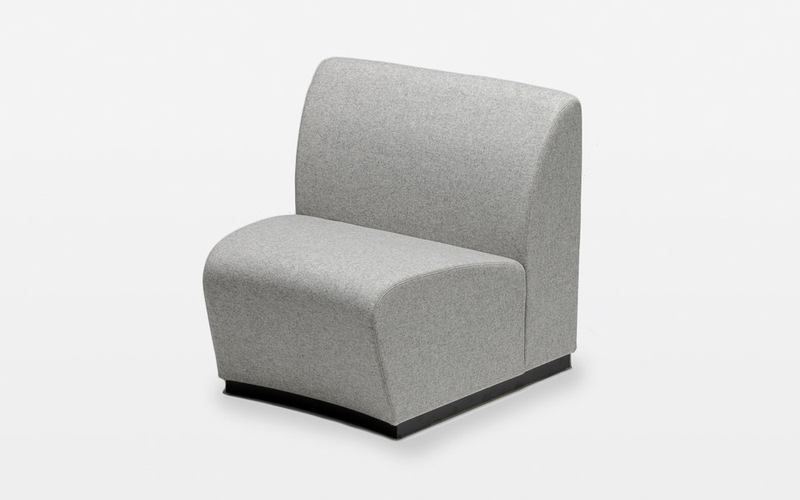 Kurve surround screens 1370mm high are available to suit and can be linked together and attached behind each seating module and Table Box. 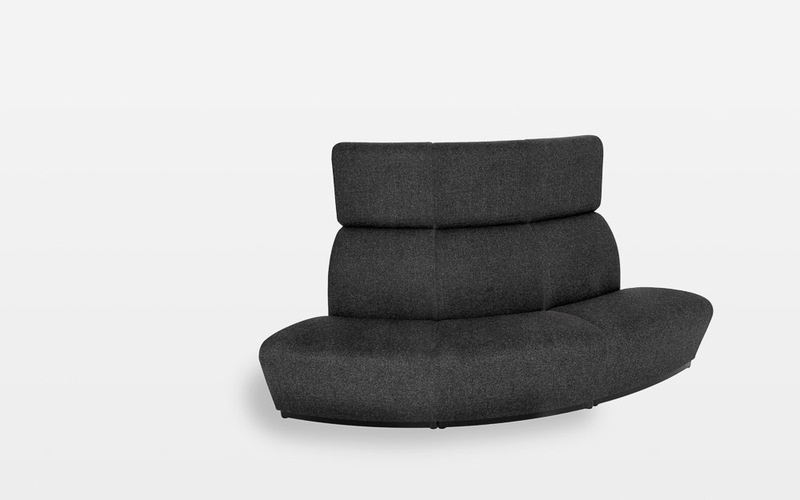 Kurve is fully upholstered on a black plinth. The table top support arm is solid linished stainless steel.